Dino and Lee each went through rigorous training at Joint Base San Antonio-Lackland (JBSA), as do almost all military working dogs and handlers. The first sentry dogs were trained at Lackland in 1958. It's now home to the Department of Defense Military Working Dog Program (MWD). Here, one leaping canine trains at a Chinese base. The base provides military working dogs for army, police, custom, airport and other facilities and institutions. 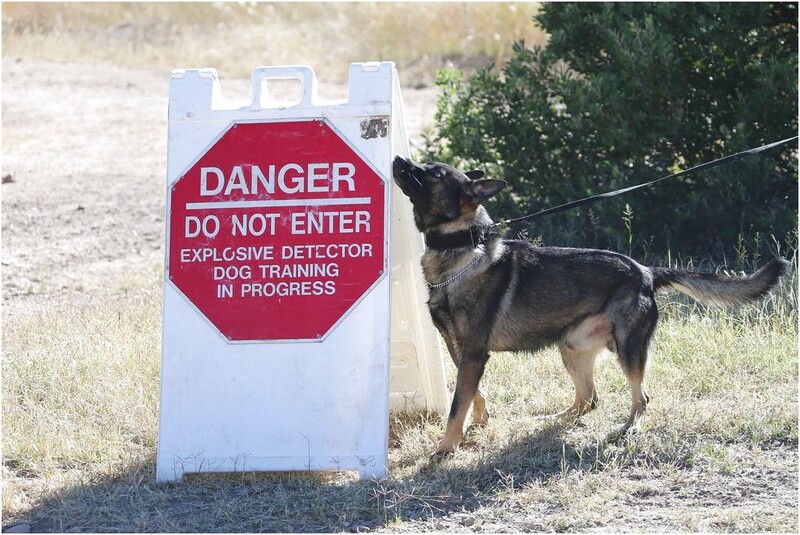 The MWD training environment consists of 62 training areas, encompassing over 3,350 acres, 691 kennel spaces and an average population of over 400 dogs located at Lackland AFB and the Lackland Training Annex, San Antonio, Texas. US: Air Force, Navy, Army and Marine K-9 Teams! K9history.com details the manpower and dogpower that goes into training the amazing pups of the Department of Defense Military Working Dogs Training .